Born and raised in Southern California, Liat graduated Shenkar College of Art Design and Engineering in Tel Aviv, with a Bachelor of Design in Textiles (2012). Parallel to university she was a fabric consultant working with various interior designers and architects. She then went to Switzerland and assisted a Swiss home and fashion label by the name of Ikou Tchuss and worked in an atelier for weaving with local weaver. After her stint in Switzerland, she moved back to the US and joined the Visual Merchandise department at ABC Carpet and Home in NYC. It was there that she was able to flourish as an artist and a tastemaker, while continuously honing in on her aesthetic. Liat quickly segued from merchandising the carpet department to window design and eventually landed in florals. She designed and arranged flowers throughout the store and restaurants for two years while also managing weekly events, assisting with art installations and participating in textile prop production. Gazing at her work, it is obvious that Liat's passion lies in natural materials. Her dyes and fabrics all stemming from nature and her current local environment - wherever that might be! 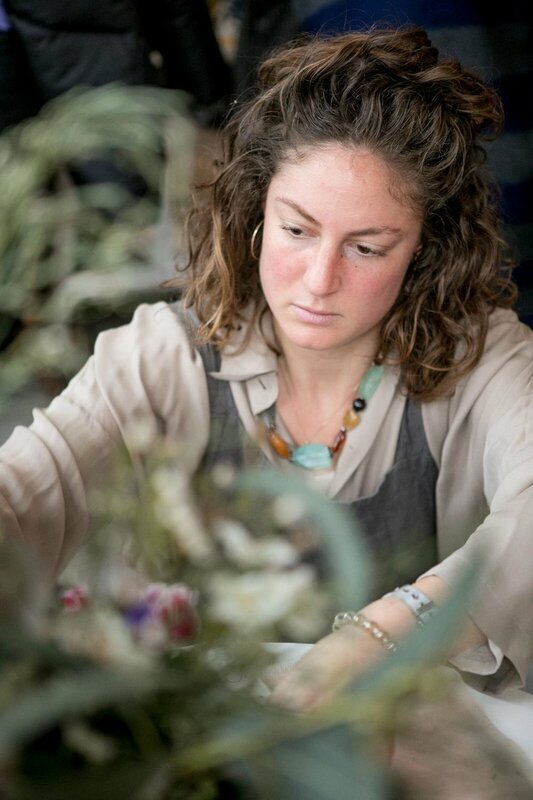 Liat has also attended numerous creative development workshops throughout New York & Europe where she continues to immerse herself in the Tel Aviv art and design scene where she currently resides and seeks inspiration daily.